Welcome to the world of Mr. Lemoncello’s library, where flying books bring you to higher shelves and where literary characters come alive and run amok! Mr. Lemoncello’s library is the place that everyone wants to visit, and for a few lucky kids, they get the unforgettable opportunity to visit Mr. Lemoncello’s high-tech, new library before anybody else. Starring in the movie as the amazing Akimi is the incredibly talented and spectacular, Breanna Yde. Words can’t even begin to describe just how much we all adore the wonderful Breanna Yde. Her talent is truly unrivaled and she never fails to amaze and impress us all with her acting and singing gifts. We always enjoy watching the brilliant Breanna Yde in every single one of her projects, including in her outstanding, Nickelodeon show, School of Rock. The music-filled and marvelous show is such a hit that it has even been nominated for a Creative Arts Emmy not just once, but twice! Breanna Yde combines her acting and musical talents in the exceptional show and her character is definitely a fan-favorite amongst all viewers. In addition to being a phenomenal actress, Breanna Yde is also known for being one extraordinary singer. Her covers that she shares on her social media networks always leave us speechless and we could truly listen to Breanna Yde’s angelic and harmonious, singing voice 24/7. It goes without saying that Breanna Yde is truly one of our favorite people on this planet. She is such a hard-working and admirable, young lady and she continues to inspire her fans on the daily to follow after their dreams. Now, we can’t wait to see the sensational Breanna Yde bring magic to our TV screens in Nickelodeon’s highly-anticipated movie, Escape From Mr. Lemoncello’s Library. We know that Breanna Yde will mesmerize us all and we’re excited to join Breanna Yde and the excellent cast of the movie on all of their adventures. 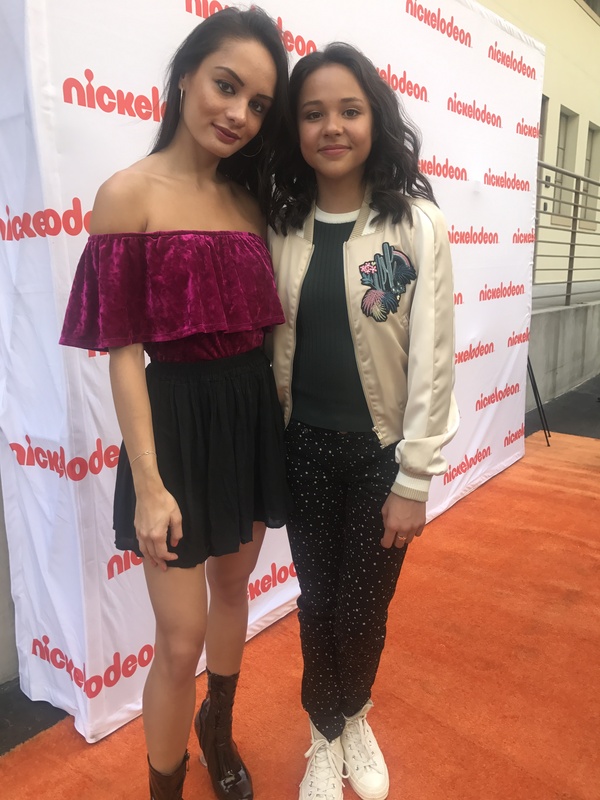 I, Alexisjoyvipaccess had a fantastic time covering the premiere of Nickelodeon’s Escape From Mr. Lemoncello’s Library and had a stellar time catching up with and interviewing the beautiful Breanna Yde at the event. Breanna Yde dished exclusively to Alexisjoyvipaccess all about what it was like for her working on set of Escape From Mr. Lemoncello’s Library, what it was like for her working on the stunts in the movie, what she would title a book that was written about her life, and so much more only in our VIPAccessEXCLUSIVE updated interview. Breanna Yde even revealed which character from a book she would like to spend a day with – hear what she had to say in our VIPAccessEXCLUSIVE updated interview below. Thanks for another terrific interview, Breanna! Check out my VIPAccessEXCLUSIVE updated interview with the remarkable Breanna Yde at the premiere of Escape From Mr. Lemoncello’s Library below! Be sure to tune in to the premiere of Escape From Mr. Lemoncello’s Library airing on Nickelodeon on October 9th at 7:00 PM ET / PT.